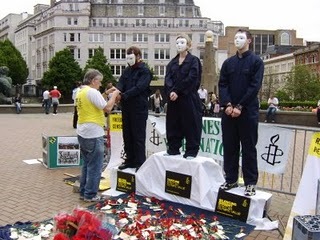 This entry was posted in Uncategorized and tagged Bournville Amnesty International, Brian Fargher, China, Human Rights. Bookmark the permalink. A bit late but I worked with Brian in the early 90s at the old MEB buildings in Kingswinford, just outside Dudley. He was a great character and a real pleasure to work with. He often had us in stitches recounting the early days of his career. Glad his legacy lives on, one in a million.